There are many ways to make money online by targeting one or more niche audiences, one of them being of course affiliate programs. Affiliate programs allow you to refer sales to others and earn a commission on those sales. For example, you might promote an e-book from an author you respect. The affiliate links would track sales coming from your affiliate account. You would be paid a percentage of each sale (25-50% isn’t uncommon, and some affiliate programs pay even more). You don’t have to invest time or money into creating your own products. You can have immediate access to a full library of products to sell. You don’t have to deal with most customers directly, as you technically aren’t selling them anything (the product creator is — you just refer the sales). Set up a niche site or blog. You’ll earn more when you have a targeted niche and products that specific audience is really interested in. Sign up for affiliate programs. You can look for individual affiliate programs for products or sign up with affiliate networks for access to many products in one place. Grow your readership. 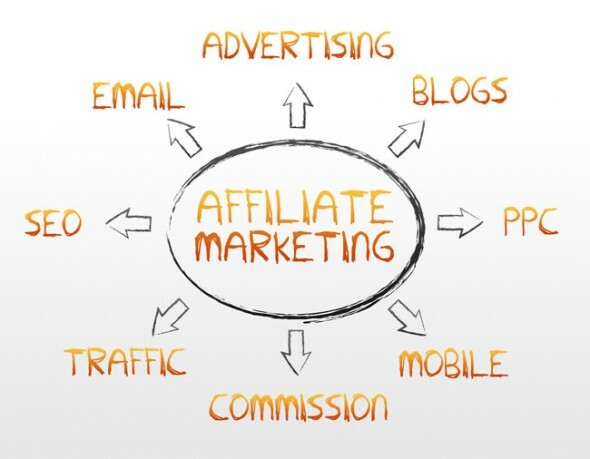 The more traffic you have, the more you can make through affiliate sales. Just focus on well-targeted relevant traffic — people with real interest in the products you promote. Test ad placement. Depending on your niche and type of site you might do better with text affiliate links, banner ads, video ads, affiliate product sales pages, or some other type of affiliate marketing strategy. Testing is the best way to figure out what works for your market. Consider email marketing. You can promote some affiliate programs through email newsletters in addition to on-site affiliate ads. Promote on third party sites. Look beyond your own sites. 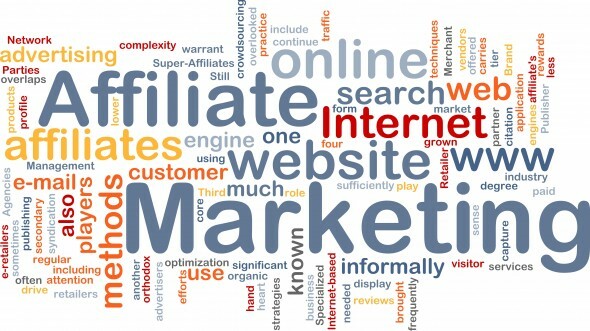 For example, you might include an affiliate promotion in a social media campaign. Just be careful. Some sites don’t allow affiliate links and in some outlets posting those links can lead to you being labeled a spammer (for example Twitter users often hate sponsored / affiliate tweets). It’s important to note that spamming your affiliate links all over the Web is not the best way to make money online with these programs. In my experience, the best thing you can do to increase sales is to increase trust. Don’t promote any affiliate product you wouldn’t be willing to buy yourself. When your site visitors know they can always trust your recommendations, they’ll be more likely to spend money on things you tell them about. And don’t forget to disclose affiliate relationships when you do include the links. Readers appreciate transparency because it shows them you have nothing to hide. What are your favorite affiliate networks? If you have additional thoughts, tips, or stories about how affiliate programs can help you make money online, please leave a comment below. Interesting, I had no idea the potential which comes from affiliate products for making money. I am currently looking to make a bit more money since I am in college and this might be a good idea to try. I also would like to increase my personal collection of Nerf guns and this would be perfect.